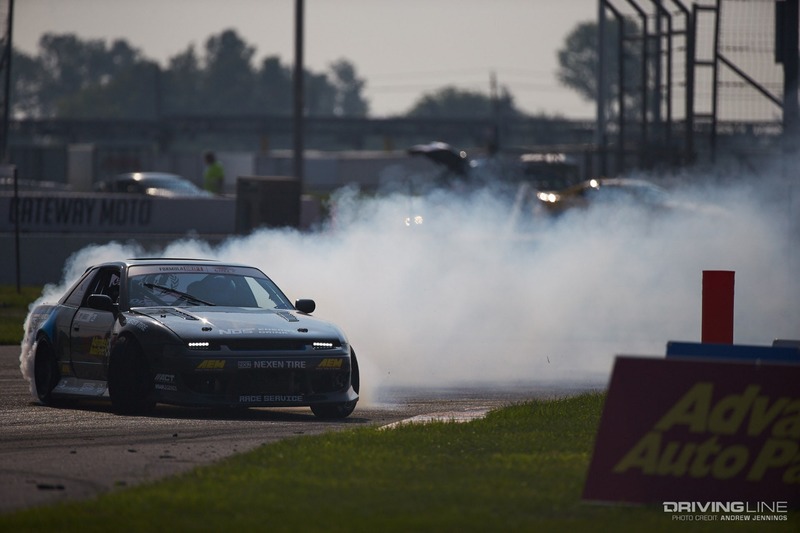 For the fifth consecutive season, Formula Drift’s Pro 2 class allowed graduates from the regional Pro Am ranks to compete alongside similarly-skilled drivers as a stepping stone to getting to Formula Drift’s top “Pro” division of drivers. 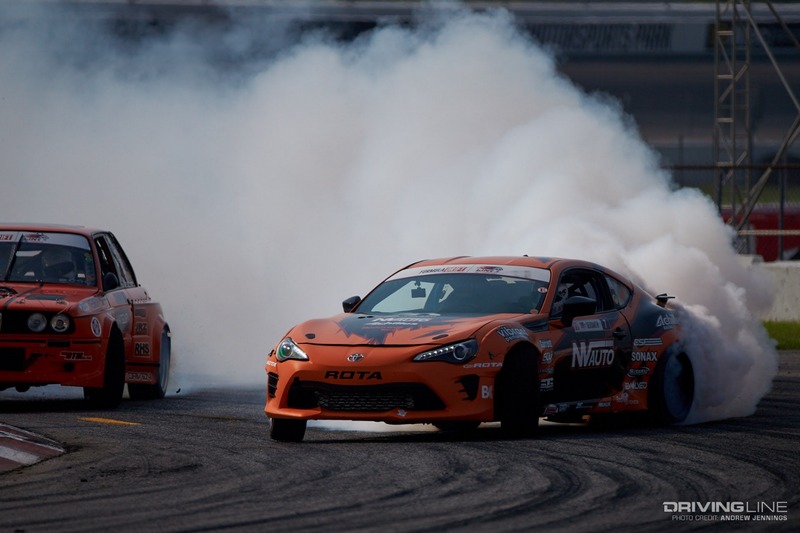 Prior to the creation of the Pro 2 class, drivers were expected to jump straight from a regional Pro Am series to an (at the time) seven event series traveling over 10,000 miles across the U.S. The Pro 2 class allows for an abbreviated, four-event schedule that travels fewer miles and allows for drivers to get more seat time against similarly-skilled drivers. Since the Pro 2 class was created in 2014, several Pro 2 drivers have gone on to compete in the Pro class including Jeff Jones, Matt Coffman, Geoff Stoneback, Juha Rintanen, Faruk Kugay, Kevin Lawrence, Dirk Stratton, “Rad” Dan Burkett, Alex Heilbrunn and Taylor Hull. With only eight drivers eligible to graduate to the Pro class, drivers in this class are truly driving to earn a license that could become a career. Here’s a look at the drivers who finished in the Top 8 of the final season standings for Pro 2, and will be eligible to compete in the top Pro class in 2019. 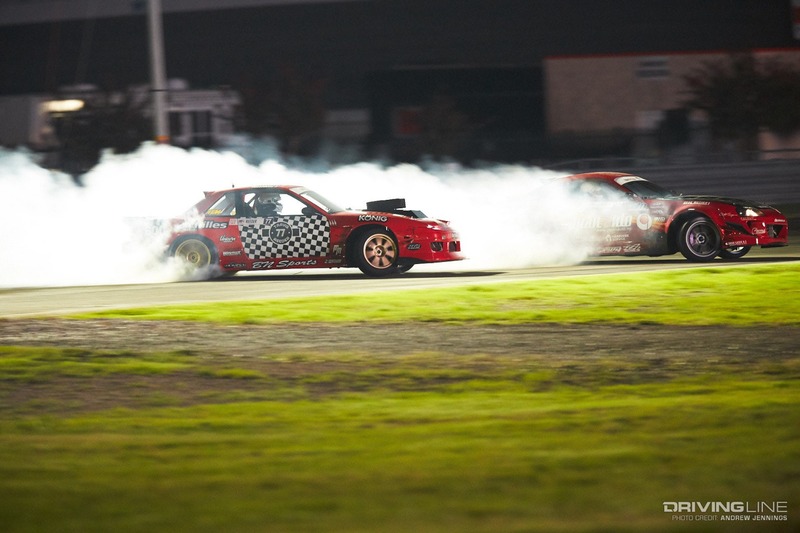 Hailing from Ohio, Denton has only been drifting for a few years but has found success early. 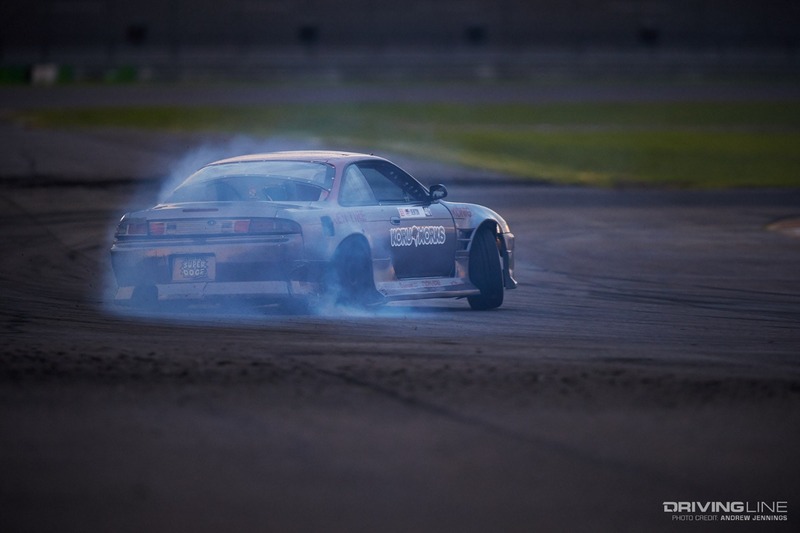 After finishing second in the Midwest Drift Union ProAm series last season to earn his license, Denton was off to a slow start in Pro 2 when he failed to qualify at the first event in Atlanta due to some mechanical issues. Denton recovered by qualifying at St. Louis, and peaked this season with a second place finish in Texas. Denton capped the season off with a first overall qualifying effort in Irwindale, but lost his battle with Trenton Beechum in the Top 16. 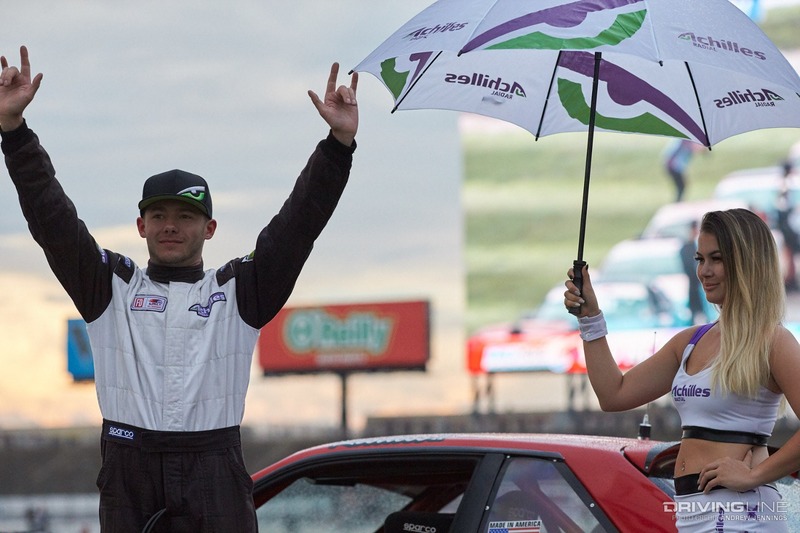 As one of only two rookies who finished in the Top 8 of the season, Denton should feel proud of his first season in Formula Drift Pro 2 as one of only eight unique drivers to take home a Carbon Fiber trophy for finishing on the podium at an event. Competing for the third time in four seasons, Canadian Brody Goble completed the season with a career-high finish of seventh place overall. After finishing eighth in 2015, Goble took 2016 off to rebuild his car and returned in 2017 to finish in tenth overall. This season, Goble finished fourth in St. Louis and qualified as high as third overall on two separate occasions (Texas, Irwindale), and only lost in tandem to drivers who finished ahead of him in the final season standings. 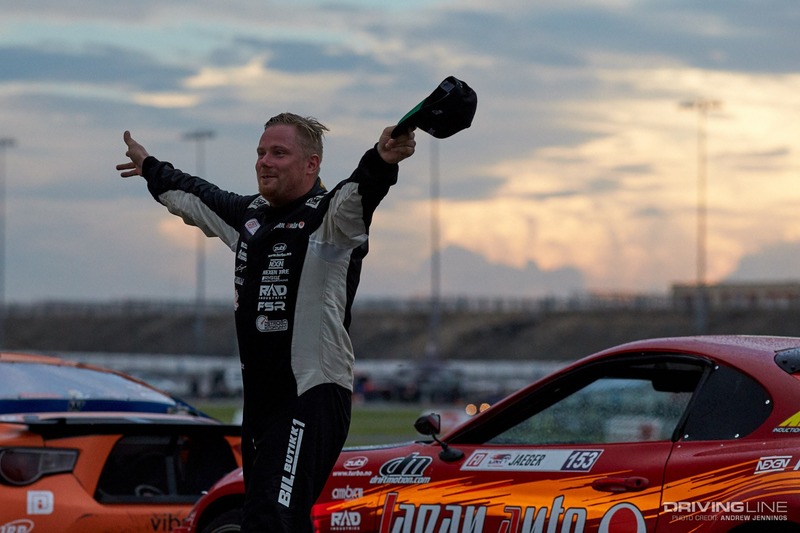 With his highest qualifying efforts in the final two events of the season, Goble seems to be figuring out exactly what the Formula Drift judges want to see and could be a much bigger threat to the championship in 2019. 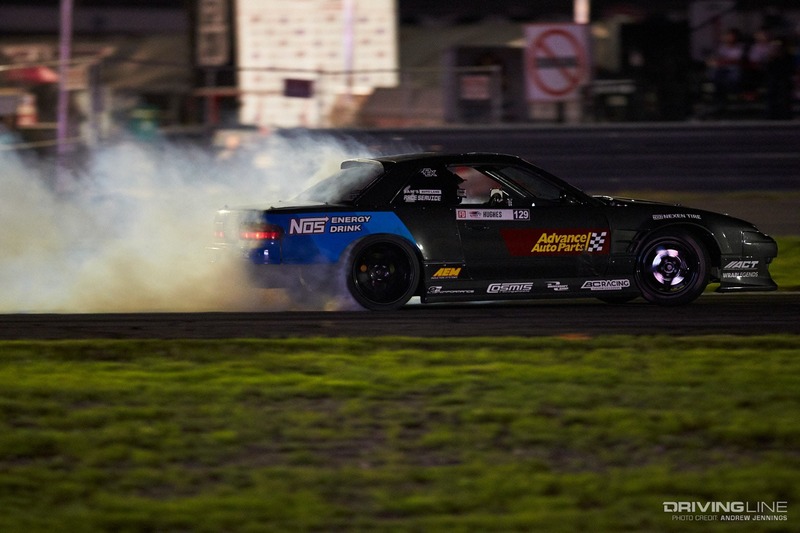 After initially competing in 2015 but failing to qualify, Fillipi earned his ticket back to the Pro 2 series in 2016 via the same Vegas Drift ProAm series that has spawned drivers like Odi Bakchis, Danny George and others. 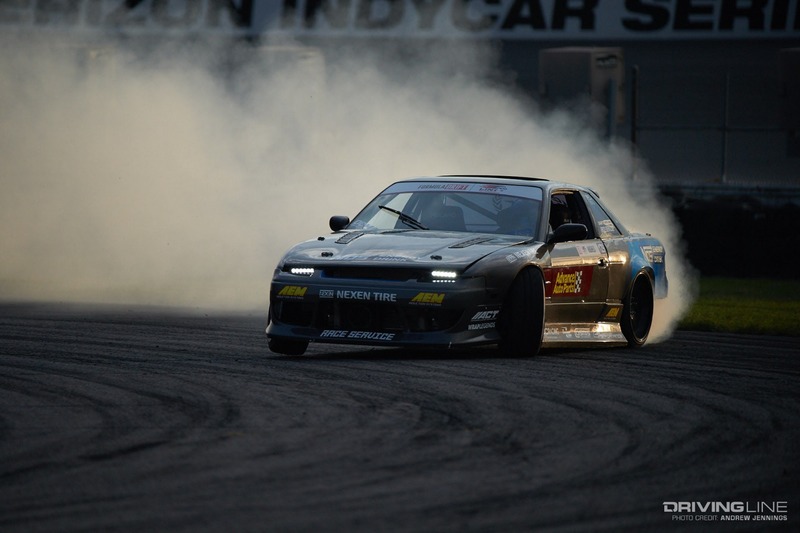 Fillipi finished the season with a third place result at Irwindale, knocking out championship hopeful Dylan Hughes in his first tandem battle of the day. Fillipi avenged a loss to Alec Robbins in the Top 8 in St. Louis by defeating Robbins in the Top 8 at Irwindale before losing in the Final 4 to Riley Sexsmith. 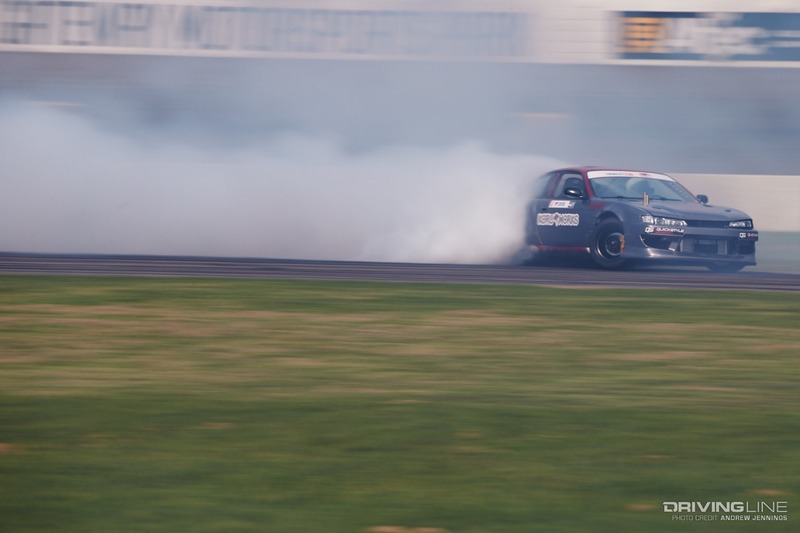 Fillipi is one of only six drivers who qualified for the tandem battles at all four Pro 2 events, showing his consistency and attention to the judging criteria. 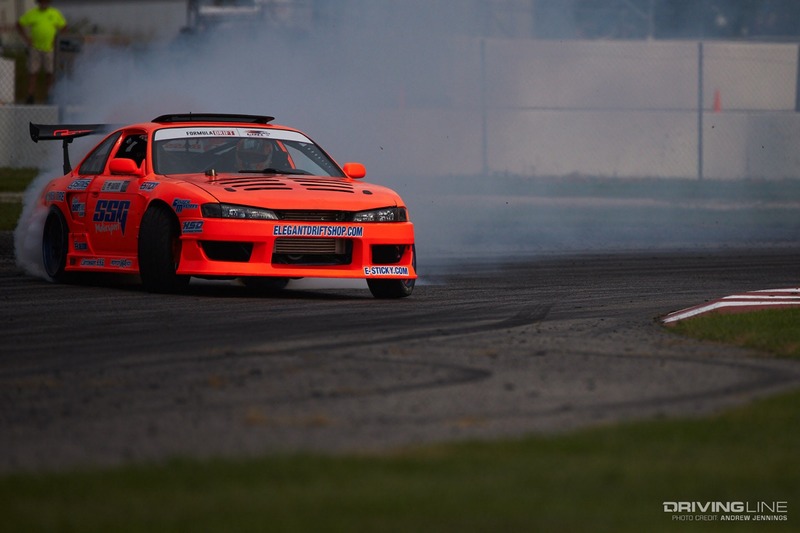 Riley Sexsmith’s bright orange Subaru BR-Z stands out as the sole Subaru on the grid in either the Pro 2 or Pro class, and he piloted his 2JZ-powered car to a career best season. 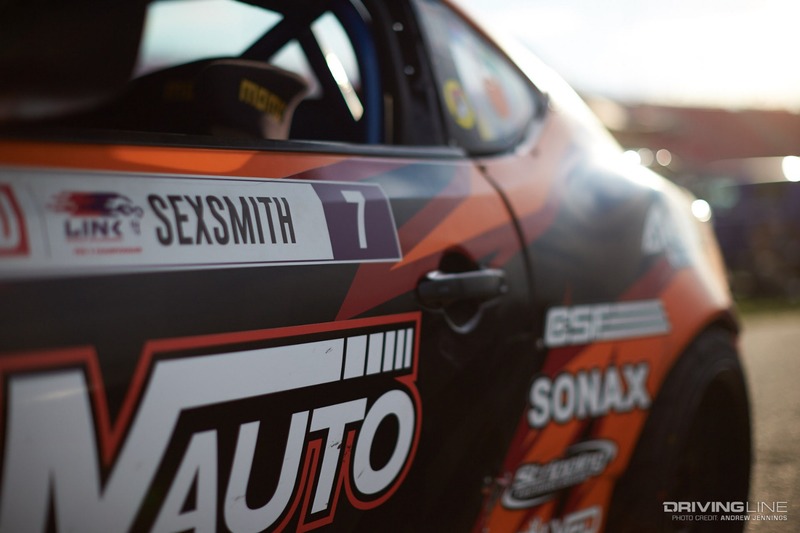 After qualifying third and earning a trip to the Top 8 at the first event in Atlanta, Sexsmith earned a pair of Top 16 finishes before claiming his first podium with a second place finish at Irwindale. 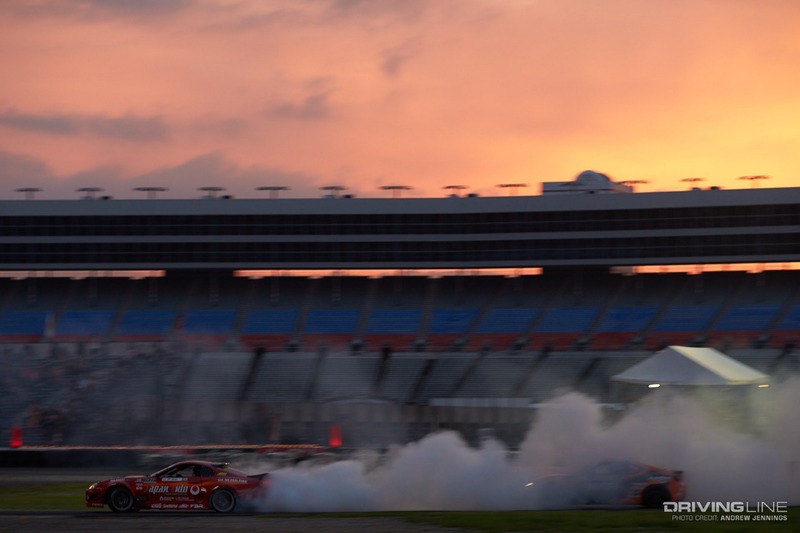 Sexsmith crashed out in his final battle with fellow Canadian Sebastian Gauthier, but walked away with a smile on his face and his second Carbon Fiber trophy to match his third place finish in last season’s finale at Texas Motorspeedway. The Texas event was the only event Sexsmith qualified for in 2017, so qualifying at all four stops in 2018 is a huge improvement for Sexsmith and the team. 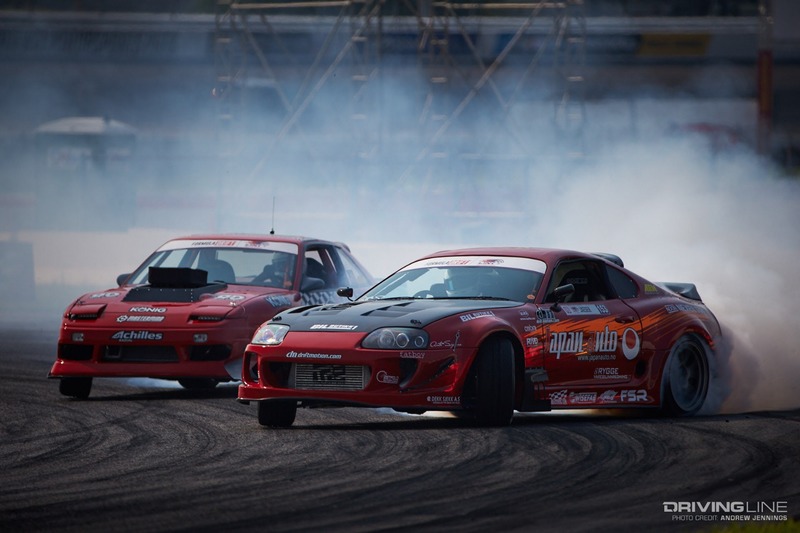 Piloting the same Japan Auto Toyota Supra that Fredric Aasbo piloted to a Rookie of the Year finish in the Pro class back in 2010, Norwegian Jaeger had a season of ups and downs. Starting off with a win in Atlanta and a pair of epic battles against Travis Reeder and Dylan Hughes, Jaeger ended up facing Reeder twice more in St. Louis and Texas but lost both of the follow-up battles. Jaeger then fell at Irwindale to Troy Manners, but finished the season with an improved standing over his seventh place finish last year. Like many drivers in the class, Jaeger will look to be more consistent with his results, although he improved by qualifying at all four events, which he failed to do last season. 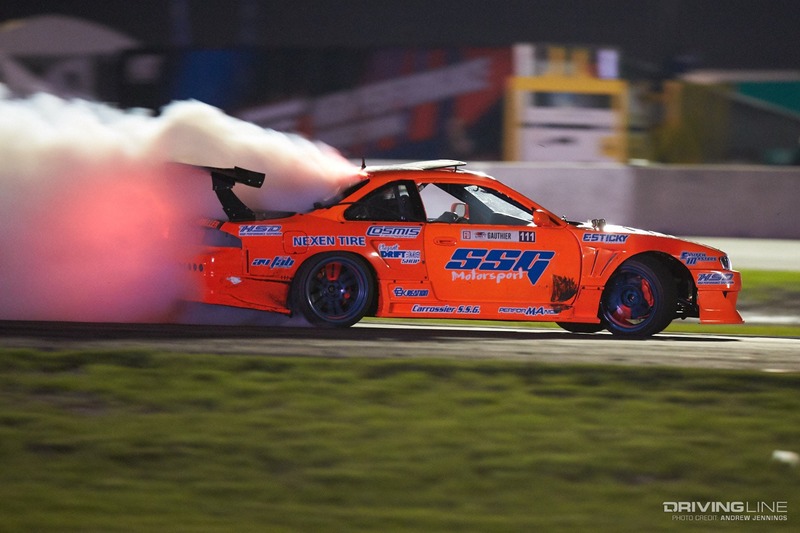 Guathier burned retinas all season with his fluorescent orange S14, which received a brighter dayglow yellow paint job just in time for the Irwindale finals. 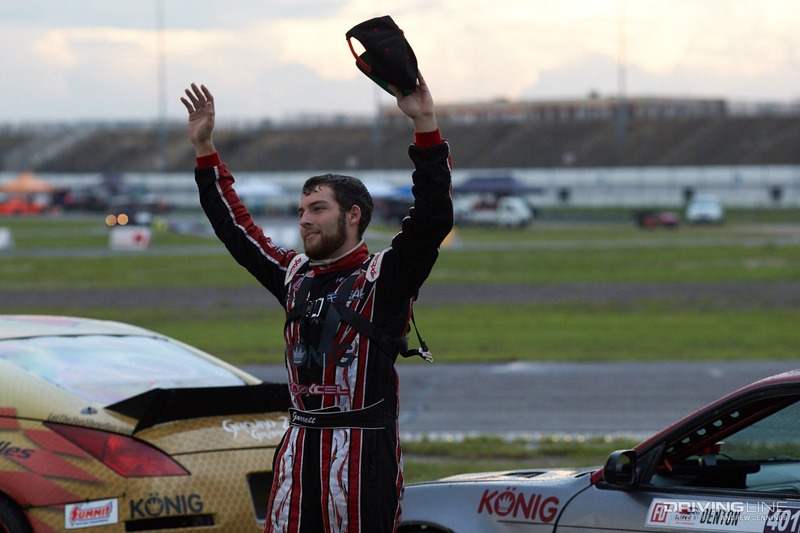 Gauthier started slow, losing to fellow Canadians Sexsmith and Goble in the Top 16 rounds at the first two events before breaking out in Texas with a fourth place overall finish, losing only to Travis Reeder in the Final 4. Gauthier went on to win at Irwindale, beating Sexsmith in the finals. 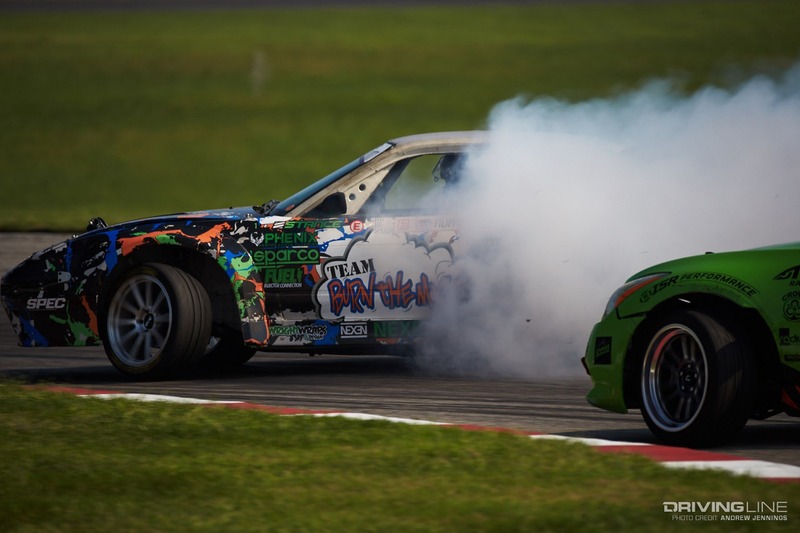 Gauthier has been a longtime competitor in the DMCC and Formula Drift Canada series north of the border, but may start competing in more events in the U.S., so long as he gets the sponsorship to make it happen. 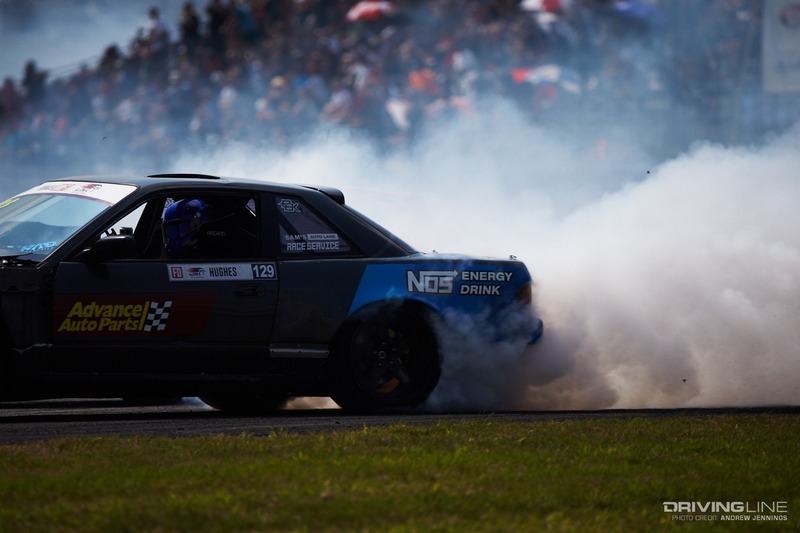 As the 2018 Formula Drift Rookie of the Year for the Pro 2 class, Gauthier definitely made an impact, finishing as the highest ranked rookie since Alex Heilbrunn won the series back in 2015. 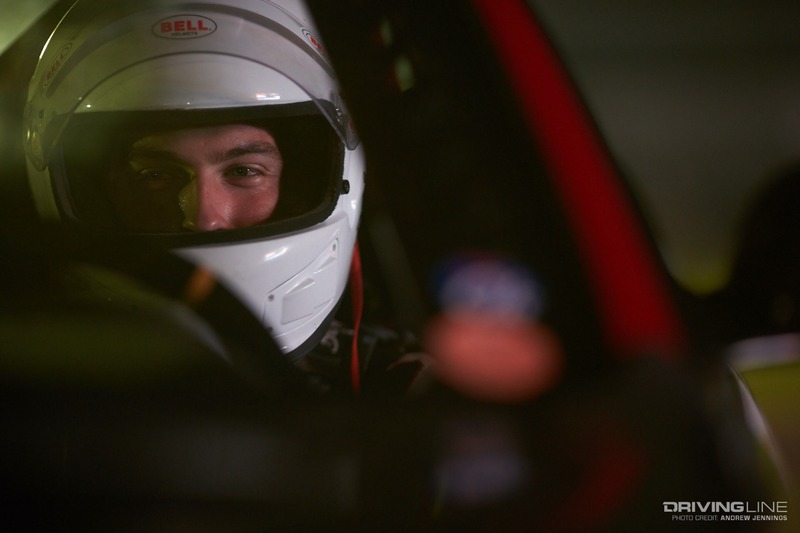 Hughes burst onto the Pro 2 scene last season by earning a second place finish at the first and only event he competed in at Evergreen Speedway in Seattle. 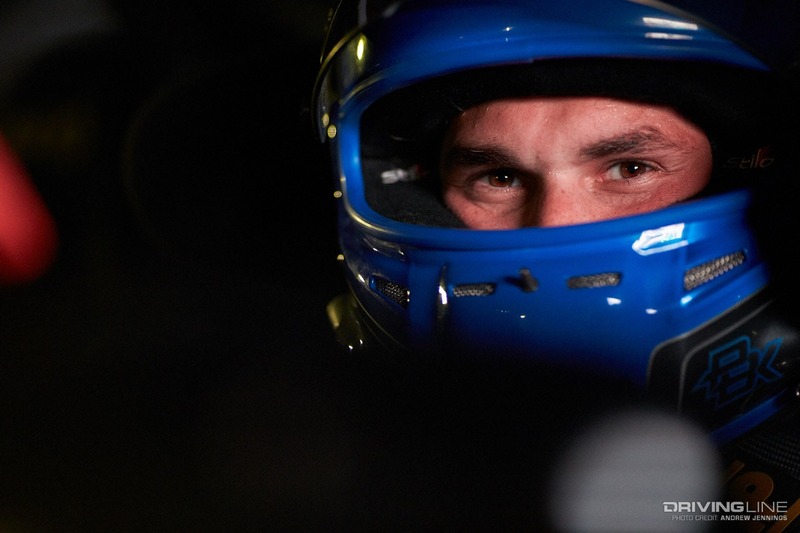 Hughes was able to put together a full season of competition this year, and he made the best of the opportunity by taking home a trio of Carbon Fiber trophies. Hughes placed second in Atlanta and St. Louis, then took home a third place finish in Texas. 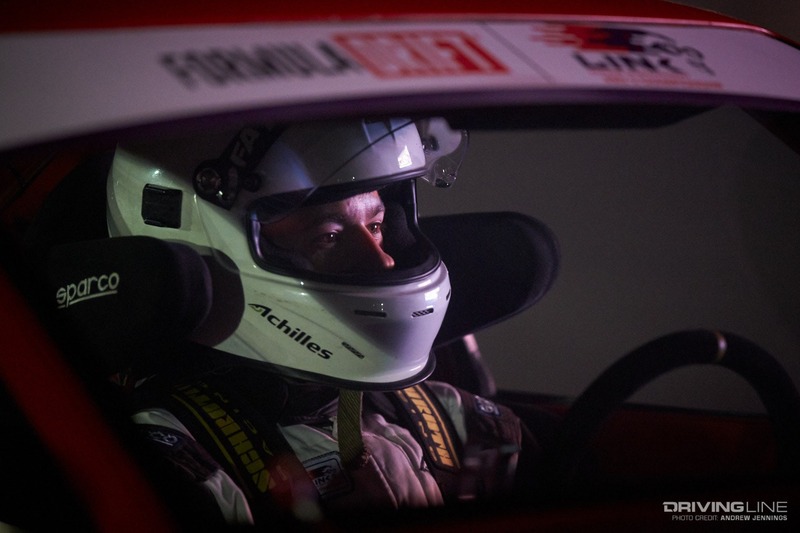 Hughes had an opportunity to win the championship at the final event in Irwindale when Travis Reeder failed to qualify, but he lost his Top 16 battle with Filippi and finished second for the season. 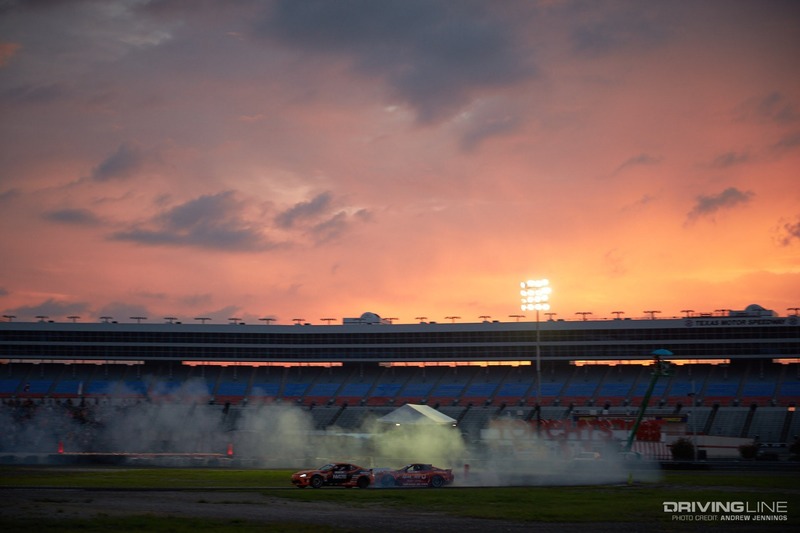 This season was largely the “Reeder & Hughes show” as both drivers dominated the series and Hughes finished 45 points ahead of Gauthier, the biggest gap in points between any two drivers in the standings. With four podium finishes at the five events Hughes has competed in, he holds one of the best tandem win percentages in Pro 2 history. 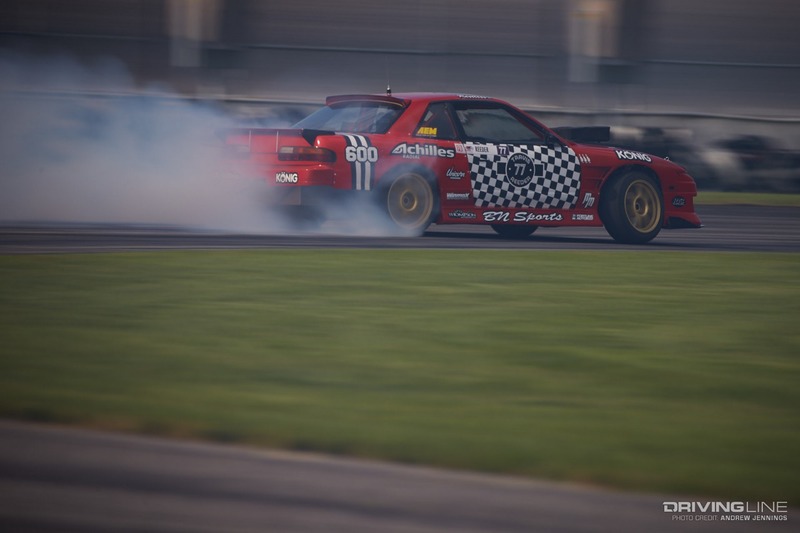 When Reeder showed up to the first event with the checkerboard livery on the door of his red S13, it seemed like a stylish way to help him stand out. 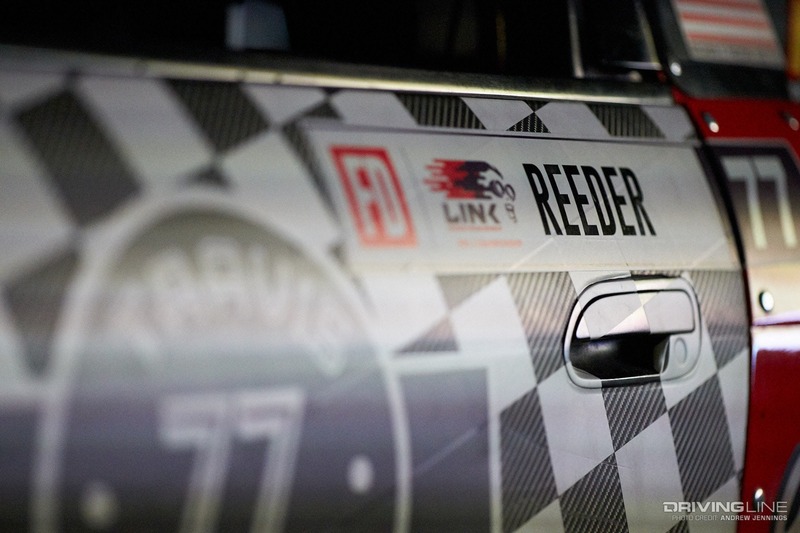 Turns out, the checkerboard livery would be a preview of coming attractions as Reeder went on to win two events (Seattle, Texas) and podium at a third (Atlanta) en route to winning the Pro 2 championship. 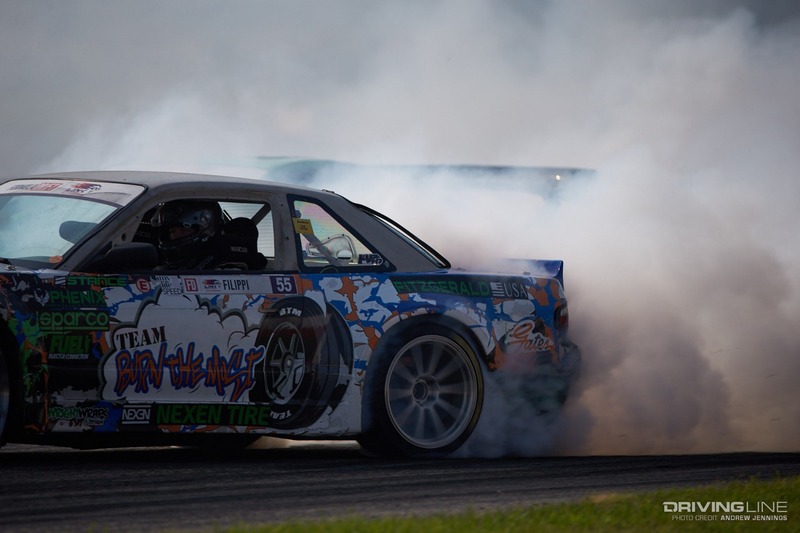 Despite not qualifying at Irwindale, Reeder won the championship ahead of close friend Hughes by 18 points and, combined with a win and a second place last season, tied Marc Landreville for the most event wins in Formula Drift Pro 2 history and holds more Carbon Fiber trophies than any other Pro 2 driver. Whether Reeder makes the jump to the top Pro class for 2019 remains to be seen, but it’s clear that Reeder doesn’t have much else to prove in the Pro 2 class. In a drifting drought? 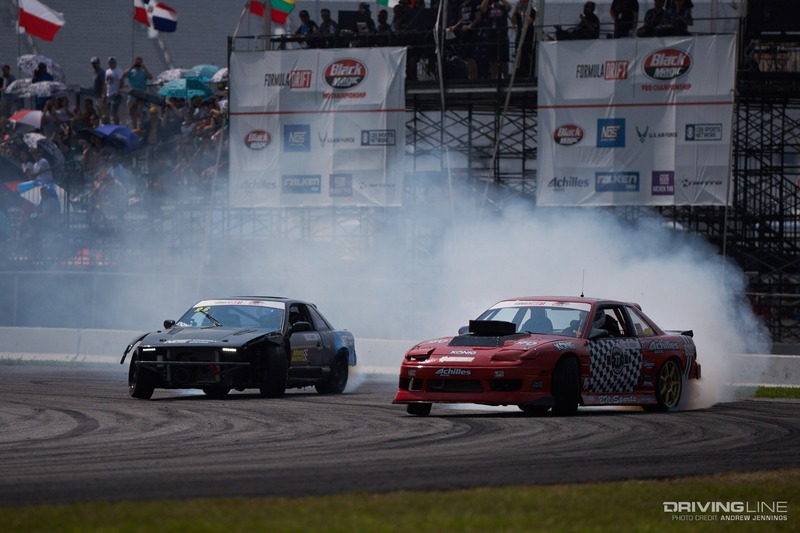 Quench your thirst with our coverage of the Formula Drift 2018 Finale.